1) To provide the community, especially middle school and high school students, with exposure to opportunities in scientific research and careers in science. 2) To provide its members with opportunities that allow them to be engaged and successful members of the University's scientific community. 3) To provide its members with resources that will make them successful in pursuing education beyond their undergraduate career. 4) To provide a community among Biochemistry and Molecular and Cell Biology majors. 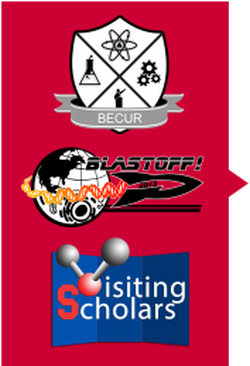 5) To host the Biology Engineering Chemistry Undergraduate Research Conference (BECUR) annually. ​6) To serve as the University of Arizona Student Chapter for the American Society for Biochemistry and Molecular Biology.